Two former Manitoba grand chiefs are defending Jody Wilson-Raybould as a strong leader following her resignation from cabinet Tuesday morning. "She follows her convictions to the greatest degree. She's very principled," said Sheila North, former grand chief of Manitoba Keewatinowi Okimakanak, which represents Manitoba's northern First Nations. North worked with Wilson-Raybould on Indigenous files over the years, including missing and murdered Indigenous women and girls, and said Tuesday she was not surprised by her resignation. "Her resolve to do the right thing is always on the top of her mind," said North. Wilson-Raybould's resignation as minister of Veterans Affairs and associate minister of National Defence comes in the wake of a Globe and Mail story that alleged pressure was placed on her from the Prime Minister's Office when she was the federal Justice minister. The Globe reported she was pressured by the PMO to direct federal prosecutors to make a "deferred prosecution agreement" to avoid taking the Quebec-based engineering firm SNC-Lavalin to trial on bribery and fraud charges in connection with contracts in Libya. ​At a news conference later in the day Tuesday, Prime Minister Justin Trudeau said he was "surprised and disappointed" with her decision to leave cabinet. Trudeau denies he or his staff directed Wilson-Raybould to intervene in the SNC-Lavalin case. 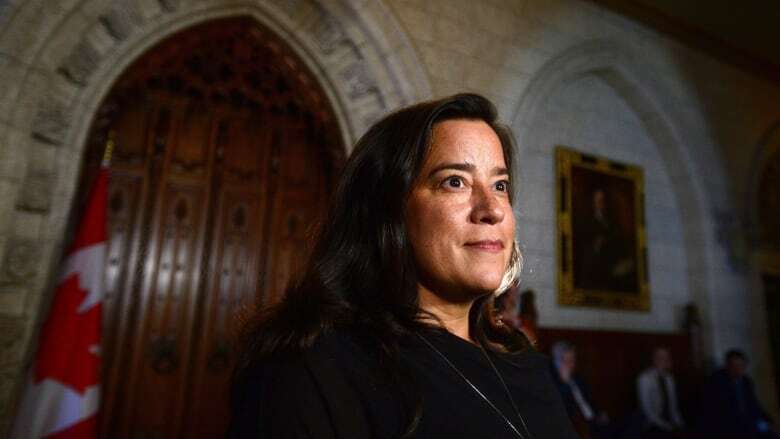 Wilson-Raybould, a member of the We Wai Kai Nation in British Columbia, was Canada's first Indigenous Justice minister. She was shuffled from the position to Veterans Affairs in January. Derek Nepinak, who worked with Wilson-Raybould in his former role as grand chief of the Assembly of Manitoba Chiefs, also said he wasn't surprised by the resignation. "I knew once this came to light and as it continues to pick up momentum that she would probably take other steps necessary to maintain her principled approach to leadership and maintain her own integrity," he said. "I'm proud of her for taking a stand." In a written statement, current Manitoba Keewatinowi Okimakanak Grand Chief Garrison Settee expressed disappointment over the Trudeau government's treatment of Wilson-Raybould. "On behalf of the MKO leadership of northern Manitoba, I stand with Grand Chief Stewart Phillip and the Union of British Columbia Indian Chiefs (UBCIC) in their condemnation of the Liberal government for undermining and discrediting the former Minister over her steadfast and honourable approach to the Justice portfolio," Settee wrote. Settee called her resignation a "a significant step backwards" for reconciliation in Canada and urged Trudeau to apologize for disparaging comments The Canadian Press reported other members of his cabinet made in recent days. North said Wilson-Raybould's experiences are evidence of deeper problems in Ottawa for Indigenous leaders. "If she, as a strong woman, can't make the positive changes that she was hoping for from the inside then I think there's a lot of questions of how willing is the Canadian government itself — no matter who's in leadership … to change to make sure Indigenous issues are at the forefront." The Liberals made significant gains in the last federal election because of leaders like Wilson-Raybould, said North. "All of this is telling Indigenous people that the Trudeau government doesn't really care about Indigenous people in this country," she said. "I'm hoping that's not true, but actions do speak louder than words."